Pastrami: Where did it come from and why is it so good? 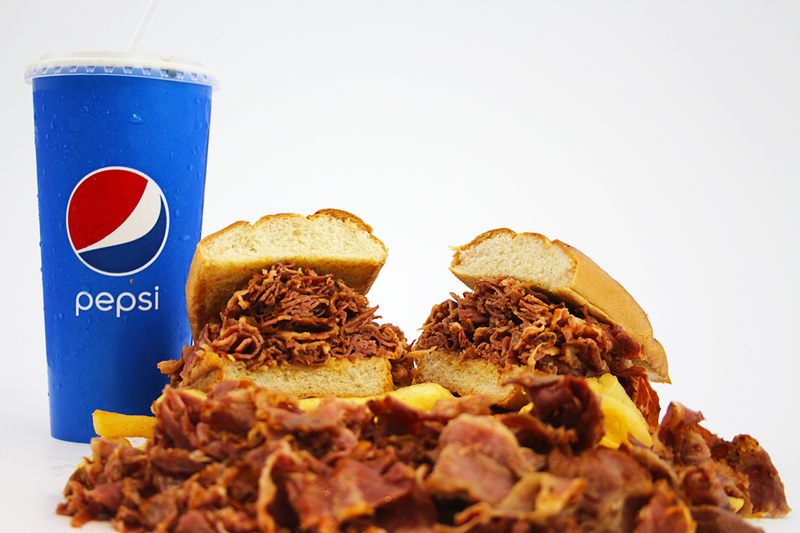 There are few things that can make someone salivate instantaneously the same way Pastrami does. But what exactly IS pastrami? Where does it come from and how did it become such a major American food? Let’s explore what this tasty meat is all about and see if we can find some of the answers to these pressing questions! Pastrami is normally made with beef, though it will occasionally have pork, mutton or turkey as well. The cut of beef is usually beef plate but is also known to come from beef round and brisket. The meat itself is brined, dried partially, seasoned and then smoked and steamed. The result of this is the amazing meat we serve in our deli’s daily, which derives from the Romanian word pastrama. With this in mind, what was the reasoning behind this creation and how did it makes its way here in America? 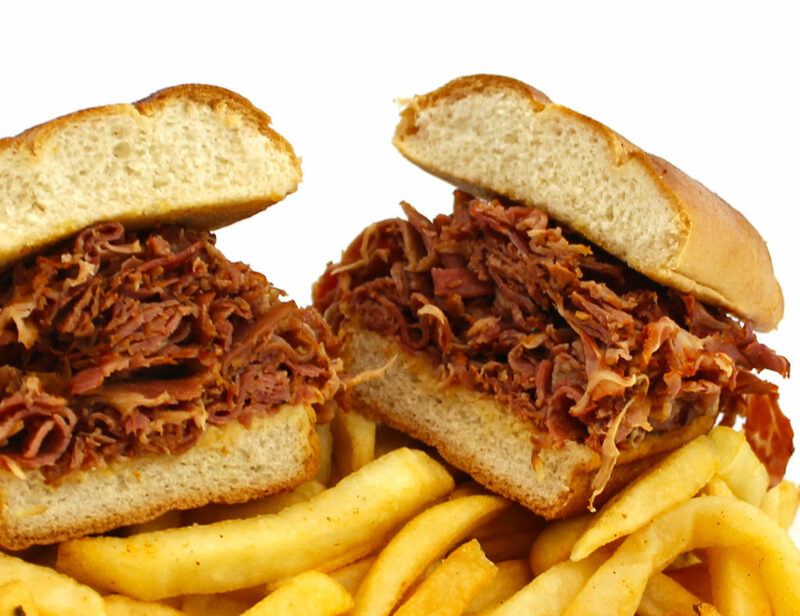 Pastrami was originally created as an old world method for preserving meat. In fact, the “pastra” portion of the word is Romanian in origin and means “to conserve food, to keep something for a long duration.” Pastrami as we know it today is actually something that made waves in New York City in the late 1800s. The original pastrami sandwich was served by Lithuanian Immigrant Sussman Volk. His restaurant was on Delancey Street and served a recipe of a certain special spiced meat that was given to him by a Romanian friend – a repayment for a favor. Delis soon became majorly popular around the city, particularly in the theater district. The oldest surviving New York Deli still serves this tasty treat, and has been in business since 1988. But what if you can’t go all the way to New York for your sandwich fix? Here at George’s burgers we understand the appeal of Pastrami and have our own versions of it just waiting for you to dig in! 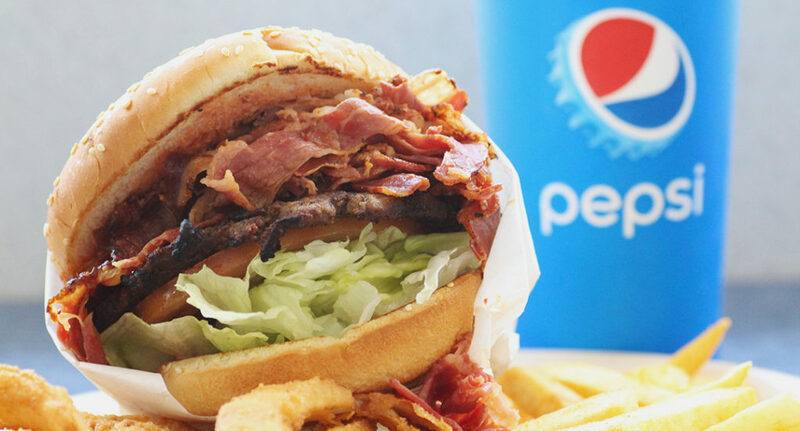 Here at George’s Burgers we not only have a traditional pastrami sandwich but a burger to boot! It’s a staple here and enough food to keep you full for a very, very long time! The pastrami craze may have made its way all across America but at George’s we think our take on it is something special. Come by today and see for yourself! Also, visit our website for more menu information and follow us on Facebook and Instagram for some amazing food shots! Copyright © 2013 – George’s Burgers. Web development by Promotion LA.